Inspect your roof. Harsh winter weather can cause roof shingles to become lost or damaged. Shingles that are cracked, buckled, loose or missing granules must be replaced. A qualified roofer should check and repair flashing around plumbing vents, skylights and chimneys. Examine your chimney. Look for signs of exterior damage and replace any loose or missing bricks. Have the flue cleaned and inspected by a certified chimney sweep. Check for loose, leaky or clogged gutters. Clear leaves, sticks, muck and other debris by flushing the gutters with water. Contact a professional gutter cleaner if you are unable to do so yourself. Improper drainage can lead to water in the basement or crawl space. Make sure downspouts are also free of debris and that they drain away from the foundation. Look for loose or damaged siding. Once you have assessed the need for repairs, spring is also a good time to clean your siding with soap and water from a garden hose. Fill low areas in your yard with compacted soil. This is especially true near the house. Spring rains can cause flooding, which can lead to foundation damage. Pay attention to puddles of water in your yard. When water pools in these low areas, it creates a breeding ground for insects like mosquitoes. Check outside faucets. Freezing temperatures can do damage to plumbing; this is especially true for outdoor fixtures. Before hooking up the hose to water your flowerbeds, turn the water on and place your thumb or finger over the opening of the faucet. If you can stop the flow of water the pipe inside your home may be damaged. Contact a professional plumber if you aren't comfortable with replacing the pipe yourself. While we're on the subject of watering flowers, check the garden hose for dry rot. Clean and service your air conditioner system. Hire a qualified heating and cooling contractor to clean the coils and check for damage to the ourside unit. Scheduling an annual service call is recommended to keep the system functioning efficiently. Changing interior filters on a regular basis can also extend the life of your air conditioning system. Also, be sure to vacuum out your floor registers. Inspect the water heater. Water heaters work twice as hard during the winter to make your home a warm and comfortable environment. After all that hard work, water heaters can accumulate rust or develop leaks. To make sure your water heater is at its top performance for spring, check for signs of leaks or corrosion. Repair wood trim. Inspect windows, doors, railings and decks now before spring rains do more damage to exposed wood. Months of exposure to rain, snow and freezing temperatures can do just as much damage to your child's playground equipment as it can your home. Ensure all outdoor toys are safe by tightening bolts, removing splinters and sharp edges and cleaning off any mold or animal droppings. Wood windows are an integral part of the innate energy efficiency of historical buildings. If we have learned anything from history it is that sometimes with all our modern advancements we do ourselves more harm than good. Advancements in technology do not always produce better results, and construction technology isn’t exempt from that. Built in a time of readily available building materials and energy sources, modern building designs typically make poor use of both. Historical buildings were built when neither was in abundant supply and early designers made the most of building materials and design options to construct buildings with a powerful combination of harnessed natural resources and innovative design that worked together to maximize energy efficiency. Everything from exterior paint colors, to locations of balconies, to numbers and placement of windows, to physical placement of buildings on lots was carefully considered to maximize heating, lighting, and ventilation in traditional construction. [sws_red_box box_size="630"] The results are astounding and studies have shown that properly restored and maintained 18th & 19th Century buildings can be just as energy efficient as new construction, and in many cases even more energy efficient. (Perhaps not surprisingly, studies have also shown that buildings built in the 1950’s through the 1970’s were the biggest energy consumers of all.) [/sws_red_box] The historical wood windows in your building contribute to that energy efficiency and, contrary to urban legend, new replacement windows are not more energy efficient than historical wood windows. 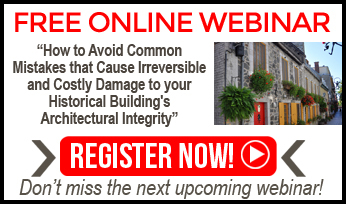 Typically, studies that conclude such a finding have compared new replacement windows with historical windows that have not been maintained or restored, are decaying, and have no complementary energy retrofits such as weather-stripping and storm windows. If you would like to read these studies, you can access them in the resources section of our website. Studies on energy efficiency also usually fail to consider “embodied energy”. Embodied energy represents the energy it took to manufacture a product. They say the greenest building is the one already built when you consider this embodied energy – an existing energy investment that will never be able to be recaptured once you destroy the product it’s embodied in. If the greenest building is the one already built, then the greenest window is the one already there. Historical wood windows have an embodied energy value that includes all the energy from harvesting and milling the wood to transporting and manufacturing the windows to installing them in your historical building. Preserving existing windows conserves that embodied energy and reduces the use of additional energy when making replacement windows. Which means that when you take all energy, energy expended on heating and cooling costs as well as the embodied energy, into consideration for defining the energy efficiency of windows – historical wood windows are far more energy efficient than replacement windows . When not properly maintained, there are many ways energy efficiency in historic buildings suffers – one of which are air leaks into and out of the home. A maintenance appraisal performed by a qualified contractor will locate any source of air leakage and provide you with a plan-of-attack to remedy the leakage without damaging the historic aspects of your home. This could really be tie for the #1 spot – both the maintenance appraisal and an energy audit are absolutely essential things that need to be done BEFORE you implement any energy-improvement measures. The energy audit will evaluate current energy efficiency in your historic building and identify any deficiencies in both the envelope of your home and/or the mechanical systems. After you have these two critical reports in your hand, set to work implementing them. Hire a qualified contractor to eliminate any air infiltration, repair windows, and perform the other maintenance affecting your home’s energy efficiency. Hire a qualified energy contractor to replace any mechanical systems they’ve found to be detrimental to your home’s energy efficiency. Make sure both of these contractors have a proven track record of working with historic buildings in a way that does not damage the architecture and its features. Maintenance is one of the most critical aspects of improving the energy efficiency of historic buildings. This can be the toughest one to do, but if we truly want to increase the energy efficiency of historic buildings then our habits have to change. Some of these changes can be easy – install timers or motion detectors on lights, attach self-closing mechanisms on doors that might otherwise hag open, install fans and raise the thermostat temperature, use CFLs in your lights, unplug “vampire” devices that use electricity in standby mode or whenever they are plugged into an outlet (most chargers, DVD players, etc.). Installing insulation in strategic places can be a cost-effective solution to energy loss – but make sure you are not installing the insulation in ineffective places and ways. There is a lot of misinformation floating around out there of the best ways to insulate your house, and some of them can even permanently damage your home. Have the historic contractor and energy consultant you hire work together to devise an insulation plan specifically tailored to increase the energy efficiency of your historic building that won’t compromise its architectural integrity. Spring is finally here, and it’s time to look around your house to see if winter weather has taken its toll. We’ll soon be firing up our grills and relaxing with friends and family. But, before you can do that, there’s much work to be done. In the 19th century, before vacuums came into common use, early spring was a time to open windows and sweep homes from “top to bottom” to herald the coming of warmer weather. Your spring maintenance projects can be handled the same way – from roof to foundation. Check outside faucets. Freezing temperatures can do damage to plumbing; this is especially true for outdoor fixtures. Before hooking up the hose to water your flowerbeds, turn the water on and place your thumb or finger over the opening of the faucet. If you can stop the flow of water the pipe inside your home may be damaged. Contact a professional plumber if you aren’t comfortable with replacing the pipe yourself. While we’re on the subject of watering flowers, check the garden hose for dry rot. Months of exposure to rain, snow and freezing temperatures can do just as much damage to your child’s playground equipment as it can your home. Ensure all outdoor toys are safe by tightening bolts, removing splinters and sharp edges and cleaning off any mold or animal droppings. When storm windows first came into use to promote energy efficiency, they were installed on the outside of the house. Not only did this take away from the architectural integrity of the house by impeding the view of major architectural features in windows, they also often created moisture on the outside of the window. Fortunately for historic homeowners today, we have better options now. 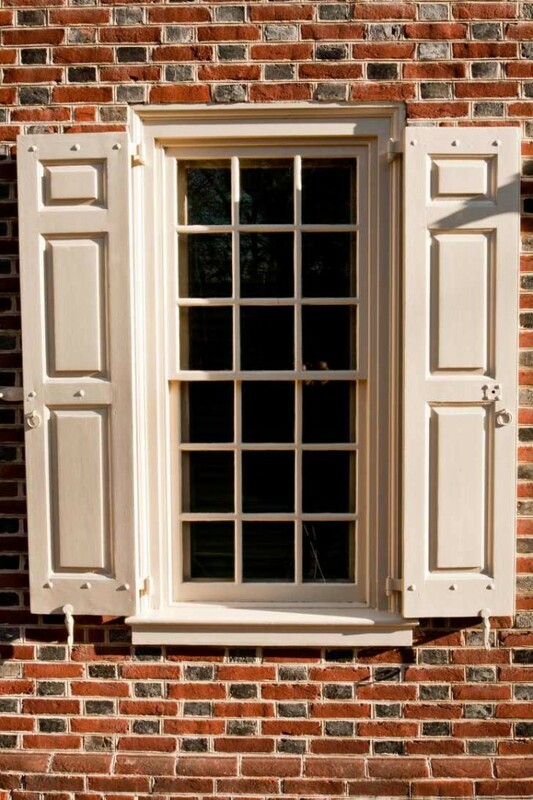 And the option we recommend here at Historic Restorations are the interior storm windows by Allied Window. Allied offers an “invisible” storm window installed on the inside of the window. One of the major benefits of this storm window option is that it has a low profile that doesn’t limit visibility of a window’s historical architectural features. Made from aluminum they can also be painted any color – send them a sample of the color of your trim and they’ll match it for a seamless integration into your window’s look. They also have a good seal with an aluminum u-channel across the top, magnetic strips that the aluminum frame attaches too, and a rubber or brush seal that sits on the sill. They do offer an exterior option with the same features of the interior. Some people think this would be the better option, that an exterior storm window would help protect the wood in their window. I don’t recommend this option – wood needs to breathe moisture and if there is a storm window installed on the exterior moisture will be trapped in the wood and promote rot. We’ve had a good long-term experience with Allied. We’ve tried other companies, much to our dismay, and Allied is the one that has provided a consistent service and product performance over time. 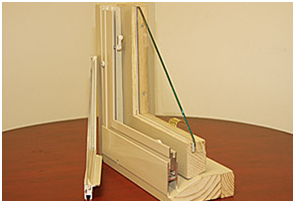 You can learn more about the products that Allied Windows offers by visiting their website at alliedwindows.com. There are several ways you can make use of shading devices in ways that are historically compatible to increase the energy efficiency of historic buildings. 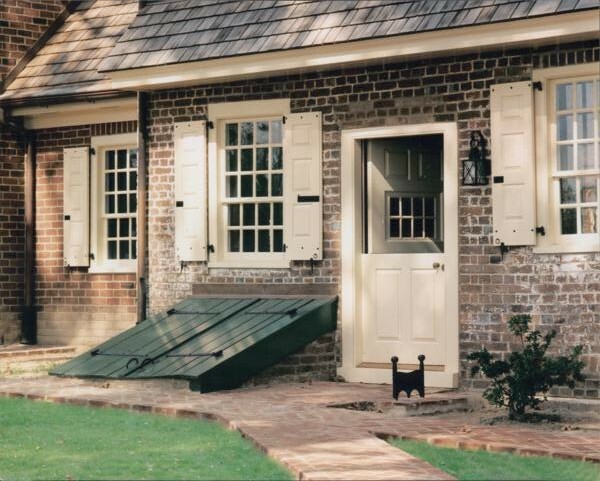 Many historical homes made use of exterior awnings and if there is evidence your home may have originally had awnings you can consider installing them again. Some homes may still have their awnings on them – if yours does, maintain it well for maximum benefit. Trees, bushes, and other foliage are another good way to shade your home during the summer to increase energy efficiency if you have the space. As is hanging drapes and curtains on any windows receiving direct sunlight and keeping them closed during the sunlight hours.